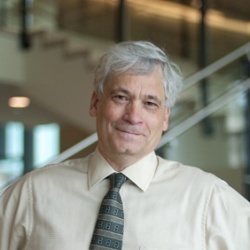 Roger Petersen holds BA, MA, and PhD degrees from the University of Chicago. He has taught at MIT since 2001 and is the Arthur and Ruth Sloan Professor of Political Science. Petersen focuses on within-state conflict and violence. He has written three books: Resistance and Rebellion: Lessons from Eastern Europe (Cambridge University Press, 2001), Understanding Ethnic Violence: Fear, Hatred, Resentment in Twentieth Century Eastern Europe (Cambridge University Press, 2002), and Western Intervention in the Balkans: The Strategic Use of Emotion in Conflict (Cambridge University Press, 2011). He is currently working on a manuscript entitled “A Social Science Guide to the Iraq Conflict.” He teaches classes on military intervention, conflict and violence, and emotions in politics. Roger Petersen and Matthew Cancian, "Between Two Caesars: The Christians of Northern Iraq," Providence, Winter 2018. Roger Petersen, “Emotions as the Residue of Lived Experience” PS: Political Science & Politics 50 (4): October 2017, pp. 932-935. Roger Petersen, "Roles and Mechanisms of Insurgency and the Conflict in Syria's War," Project on Middle East Political Science, Briefing 22, December 2013. Quoted in "We need political parties.But their rabid partisanship could destroy American democracy," vox.com, September 5, 2017. New York Times, January 16, 2016, "In Syria, Politics Can be More Effective than Military Action."